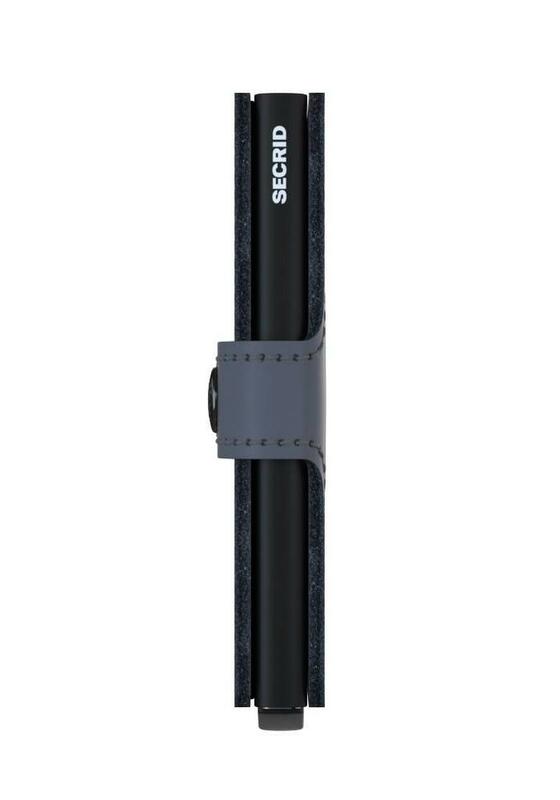 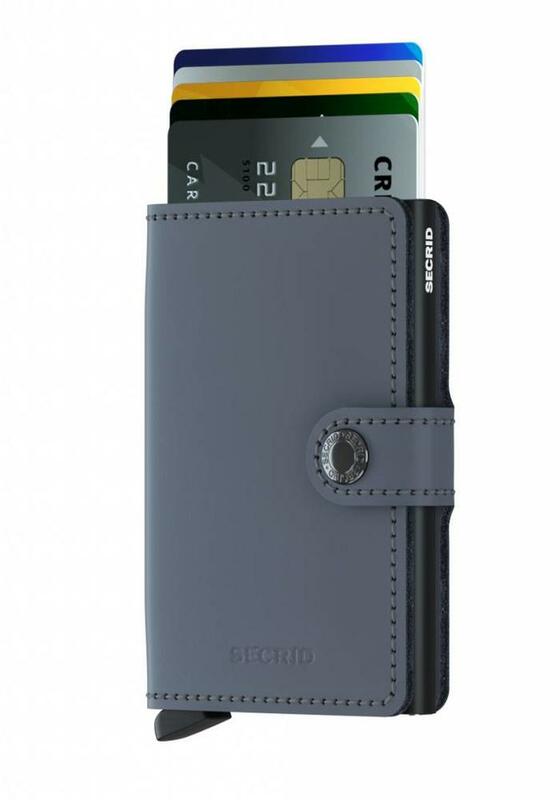 The Secrid Miniwallet Matte Grey is a compact wallet and easy to carry because of it's light weight. 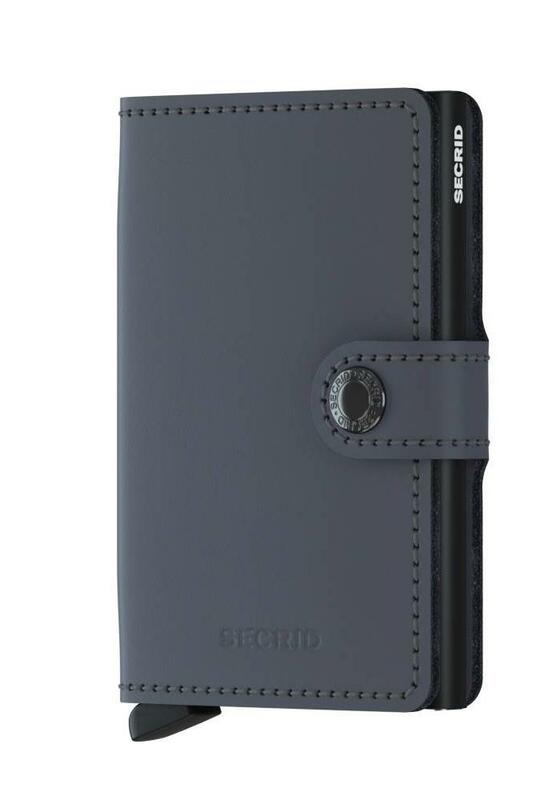 Thanks to it's unique design, the cards slide out like a fan. 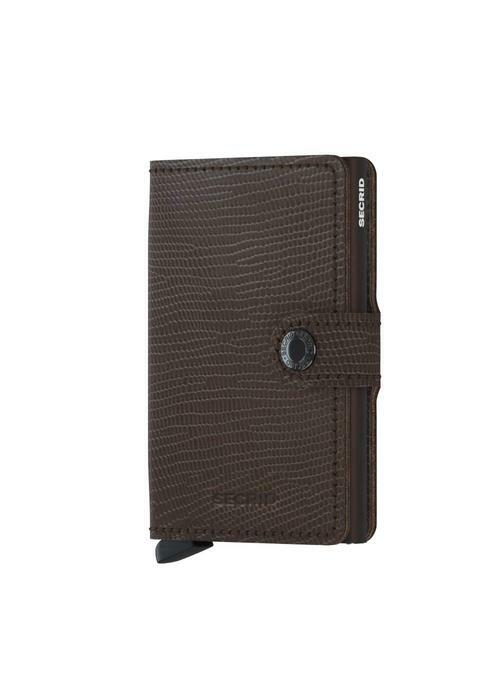 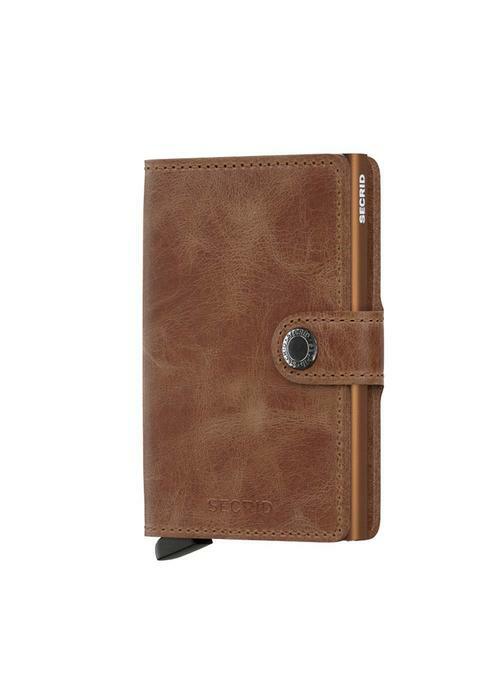 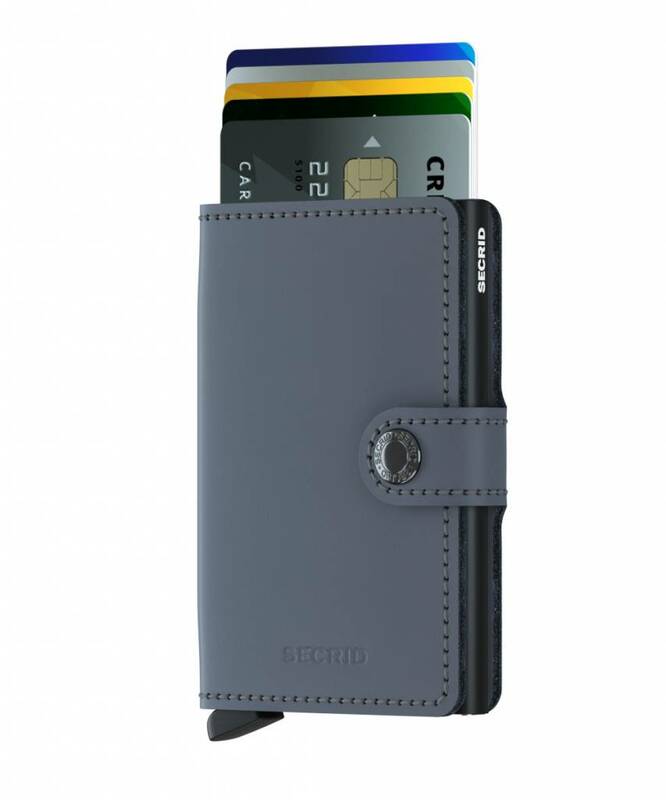 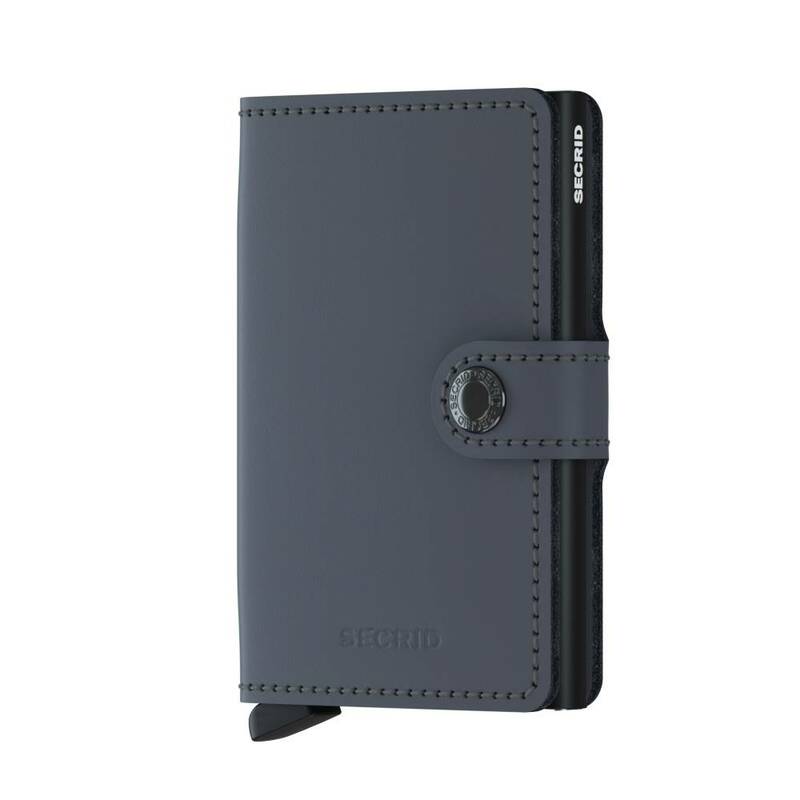 The Secrid Miniwallet Matte Grey has a soft and smooth surface with a matte finish. 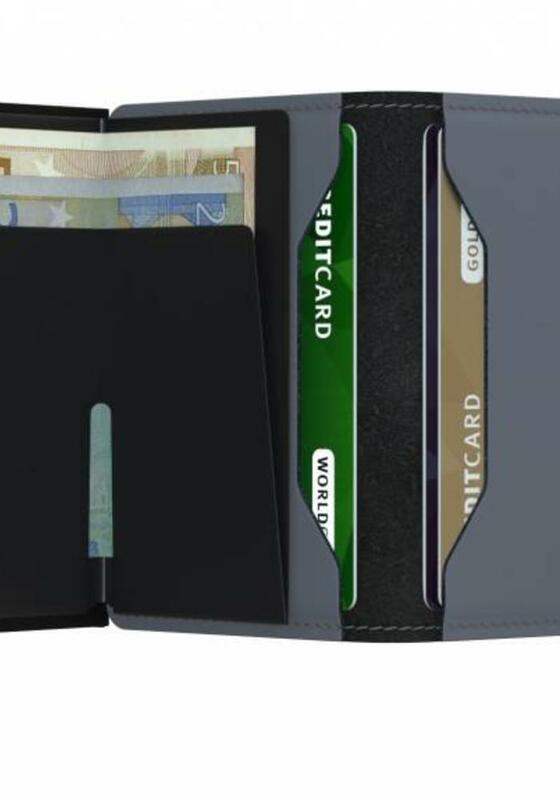 The Miniwallet has a space for (up to) six cards in the aluminium section. 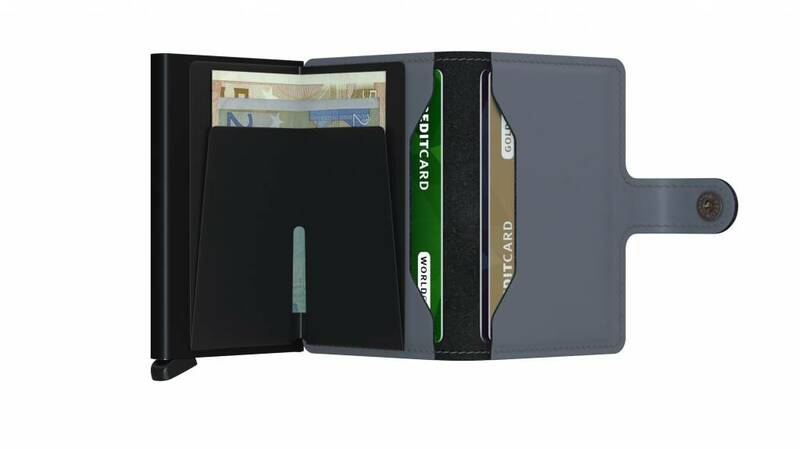 Inside the wallet offers space for two more cards or cash and some paper money.